l'm a man from Zimbabwe l hereby write to request your prayers and support. l would like to further my writing and Church persecution reporting by studying Journalism. 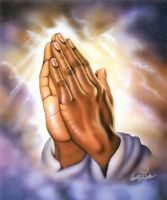 l need support with prayers so that God opens doors for scholarship or support from individuals who can help me study. It’s now very difficult to get a job without being skilled or without qualifications face challenges of getting money to study even by correspondence.